Residents and visitors agree that San Diego Mexican Restaurant Casa Guadalajara is the finest you’ll find this side of the border. Nestled right in the heart of San Diego is a little slice of Mexico. The attention to detail is the signature of owner and highly regarded entrepreneur Diane Powers, who has spared neither time nor expense in creating Mexican authenticity for you to enjoy without having to cross the border. But don’t take just our word for it. In the past two years Casa Guadalajara received the California Restaurant Association’s award for “Best San Diego Mexican Restaurant 2010″ and was voted “Best Margarita in San Diego” by Star 94.1 FM listeners in May 2011. 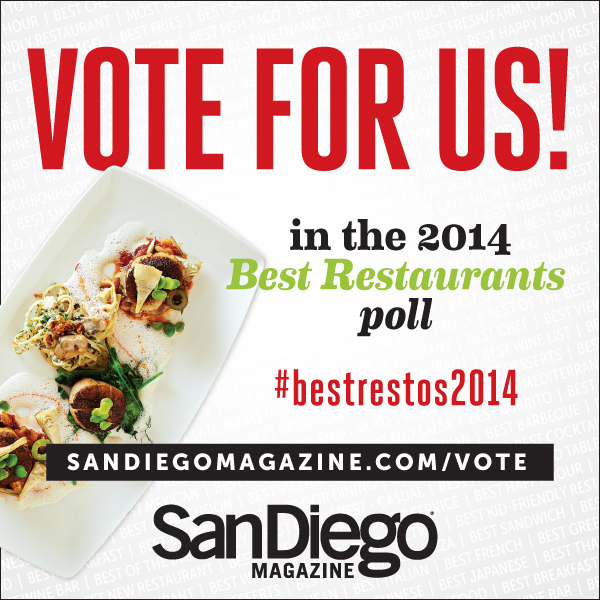 Now that’s a winning combination: awards for best foods and best margaritas. And in San Diego, competition is fierce among Mexican restaurants, but we provide the finest San Diego Mexican Restaurant dining experience in the historic area known as Old Town in the heart of San Diego. Enjoy the ambiance for a romantic dinner for two, or a fun filled wedding rehearsal dinner or reception. With our spacious indoor dining area, as well as two outdoor areas, we can accommodate just about any size group. And if your group wants us to bring the party to you, that is absolutely no problem. Our catering and special events department will get mobile and bring it on to give you a most memorable event at the location of your choice. Whether it be tequila or tamales, burritos or taquitos, we’ve got the dish for you. Did we mention the music? Luciano Rodriguez and his band Cielito Lindo have been providing beautiful music and memories at Casa Guadalajara since 1996. This is no ordinary mariachi band, this is a unique musical experience that people talk about when they leave us as much as they do the food or the margies. 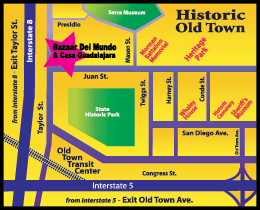 So whether you’re a local or a visitor, don’t miss out on the finest San Diego Mexican Restaurant Casa Guadalajara. We’re waiting to provide you with an experience you’ll be telling friends and family about long after your visit. And we know once you’ve visited us that you’ll be back again and again. 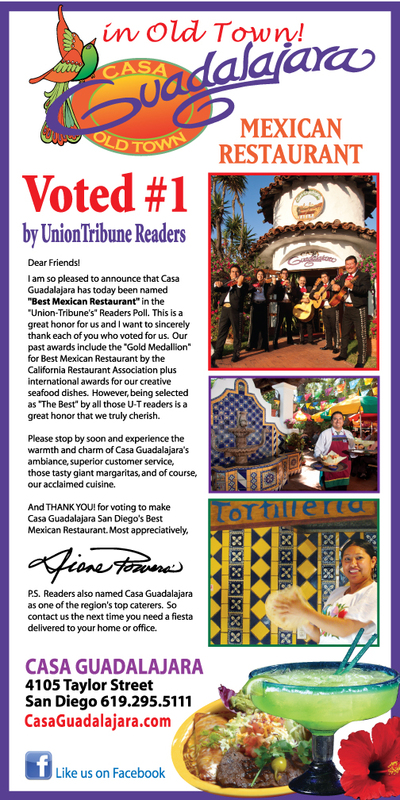 Casa Guadalajara Voted #1! Thank you! !